Holy Week Readings- Monday the 15th, Tuesday the 16th and Wednesday the 17th at 6pm at the front of the sanctuary. Holy Thursday, April 18th- Worship with Holy Communion at 6pm. Good Friday, April 19th – Worship at 12pm at West. Cantata shared by joint choirs of Union Congregation UCC and West Side Moravian at 7pm at Union Congregation UCC at 716 S. Madison Street. Easter Sunday, April 21st- Sunrise Worship at 6am starts in our sanctuary and from here travel to the cemetery in Ashwaubenon. Breakfast to follow. Worship at 9am. Thanks for visiting West Side Moravian Church on the web. We realize the internet is a great way to visit and get to know a church without actually stepping through its’ doors. We hope you will take the time to search through our site and check out our ministries and activities with a personal visit. 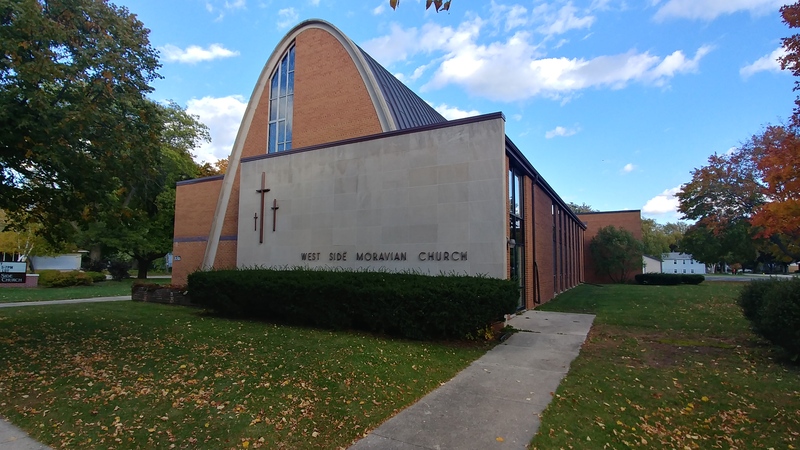 West Side Moravian Church is part of the world-wide Moravian Church, serving Christ’s mission in the Green Bay area for more than 165 years. Are you looking for a place to discover and live out your faith in the midst of community? Join us for worship this Sunday.